Join La Paulée and Compagnie des Vins Surnaturels for the first-ever Beaujolais Bash, a soirée in celebration of the wines & spirit of the Beaujolais region featuring good vibes, great music, and lots of fun! Expect track suits, hip-hop, graffiti demos, breakdancing, and more to best showcase the great wines of Beaujolais in all their delicious glory! Taste a wide variety of Beaujolais wines poured by the winemakers themselves, along with small bites from Chef Tom Colicchio’s Temple Court and Compagnie’s Chef Eric Bolyard. As the evening continues, we will enjoy cool tunes spun by a DJ, even more delicious Beaujolais wine including older vintages poured from magnum by a team of sommeliers led by Daniel Johnnes of La Paulée and Caleb Ganzer of Compagnie, and fresh cocktails from Jura Whiskey. A beloved estate in the village of Vosne-Romanée, Domaine Mugneret-Gibourg has an illustrious history of superb winemaking that continues to this day with sisters Marie-Andrée & Marie-Christine Mugneret. Marie-Christine and her daughter Lucie Teillaud - representing the next generation at the head of the domaine - will be present for this extraordinary dinner that will commence with a Champagne Salon reception, followed by a tasting of three young vintages direct from the domaine and discussion of the history and terroir of Mugneret’s plots of Echézeaux. Guests will then enjoy a panoply of Echézeaux from some of the best vintages of the past 50 years, all sourced from the pristine cellars of noted collector Jordi Orriols-Gil. The wines will be paired with an elegant tasting menu prepared by Chef Ryan Hardy at Manhattan hotspot Legacy Records. Our popular “Off Grid” tasting is proof positive that the joys of Burgundy do not have to be expensive or out of reach. Sample a selection of wines from all the major regions of Burgundy, including Chablis, Côte d'Or, Côte Chalonnaise, Mâcon, and Beaujolais, curated by a group of our nation's top sommeliers. Enjoy small plates from a selection of New York hotspots. Connect with the sommeliers on hand who will share their picks from Burgundy and provide tips on great value wines, up-and-coming winemakers, and surprising vintages. While Louis-Michel Liger-Belair only created this domaine relatively recently in the year 2000, the Liger-Belair family has a 200 year history in Vosne-Romanée, having settled in the village when Louis Liger-Belair, a Napoleonic general, acquired the Château de Vosne in 1815. At its heights, the Liger-Belair family owned an astonishing 60 hectares in some of Burgundy’s most legendary appellations. The Liger-Belair holdings today are impressive, and Louis-Michel has generously provided a variety of vintages of some of his best wines for this very special dinner at three-Michelin-starred Eleven Madison Park. This will include horizontals of the superb 2011 and 2012 vintages from magnum, culminating in verticals of Reignots - one of Vosne’s finest Premier Crus - and the domaine’s patrimonial Grand Cru monopole, La Romanée. Paired with Chef Daniel Humm’s exquisite New York-influenced cuisine, this will be a spectacular celebration of one Burgundian family’s history and future. Join Gregory Gouges for a festive lunch celebrating the wines of Domaine Henri Gouges and the terroir of Nuits-Saint-Georges at two-Michelin-starred The Modern, overlooking MOMA’s sculpture garden oasis. Following a Champagne Delamotte reception, we will begin with a study of the domaine’s unique whites made from a mutation of Pinot Noir often called “Pinot Gouges.” Following twin flights of Nuits 1er Cru reds from the superb 2014 and 2010 vintages, including Clos des Porrets 2010 from jeroboam, the lunch will conclude with a vertical of Vaucrains and a special pour of Clos des Porrets 1985. The wines will be paired with a tasting menu featuring Chef Abram Bissell’s refined and unexpectedly playful cuisine. Join winemakers Antoine Jobard & Laurent Lignier for a festive dinner at west-side hotspot The Standard Highline. Antoine & Laurent have provided both more recent and older vintages of wines from their respective home villages of Meursault & Morey-Saint-Denis. Following a Champagne Delamotte reception, guests will enjoy a flight of three Jobard Meursault Premiers Crus from the highly regarded 2015 vintage, followed by a vertical of the domaine’s flagship Meursault Genevrières from magnum back to 1989. 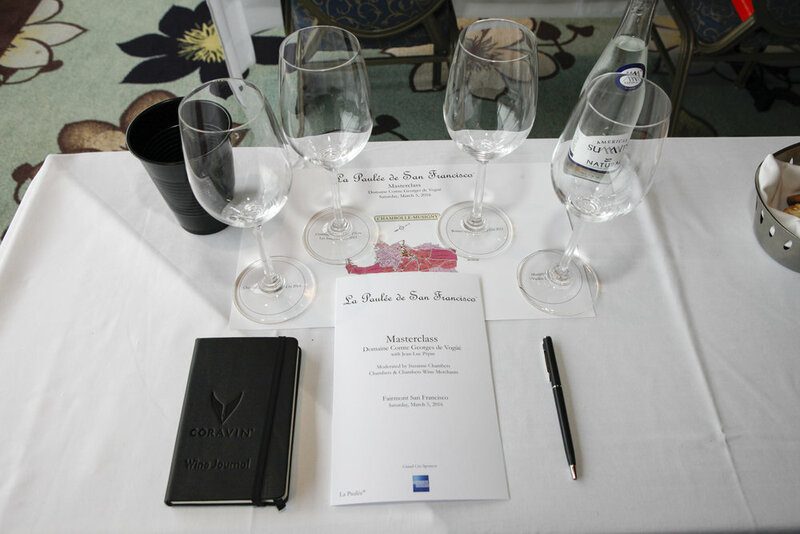 We will then taste three Morey-Saint-Denis wines from the 2014 vintage, including the well-situated Premiers Crus of La Riotte & Les Chaffots, finishing with a showstopper flight of three fabulous vintages of Clos de la Roche Grand Cru. The wines will be paired with a tasting menu featuring the bold cuisine of Chef Rocco DiSpirito. The main stretch of La Paulée will kick off with a lively soirée welcoming the Burgundians back to New York City. Enjoy magnums from participating domaines as well as wines from Lingua Franca - Master Sommelier Larry Stone & Dominique Lafon’s Oregon project, Champagne Delamotte, Birra Menabrea, and The Dalmore Whiskey. All participating winemakers will be in attendance and guests will have the opportunity to sample great bottles and share a moment with them in a fun and lively atmosphere. This is a unique opportunity to taste three-vintage verticals of a signature wine from each participating domaine in an intimate walk-around tasting in SECOND Floor’s glass-enclosed Great Room in the heart of Manhattan. 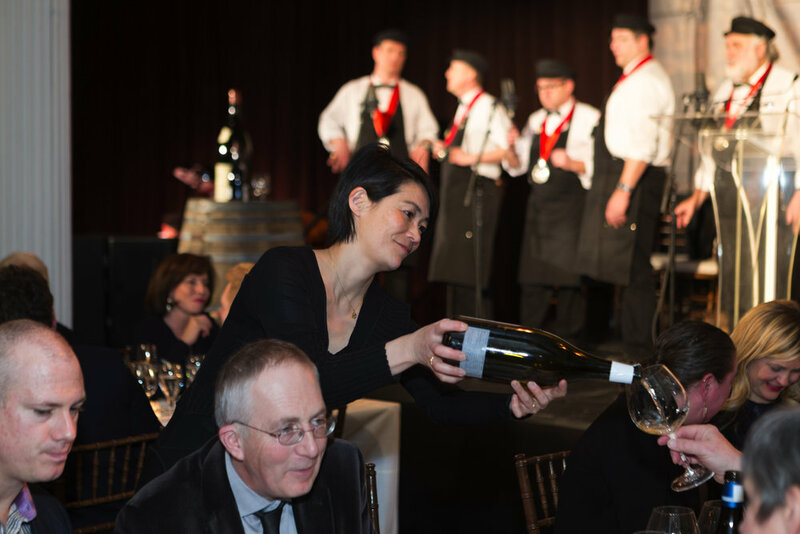 Zachys, a Premier Cru sponsor of La Paulée, will hold its annual auction in celebration of the week’s events on Thursday, March 7 and Friday, March 8. Among the many amazing wines in this auction will be a select number of lots sourced directly from current and past winemakers at La Paulée whose sale will benefit the La Paulée Sommelier Scholarship. Visit www.zachys.com for auction details. Join Doug Barzelay of Private Cellar Selections - co-author with Allen Meadows of their new book Burgundy Vintages - A History from 1845 - for an in-depth tasting and discussion of Burgundy vintages. Among the finest white wine domaines of the Côte de Beaune, one name stands above all - Leflaive. Brice de la Morandière, nephew of the late Anne-Claude Leflaive and the latest generation of the Leflaive family to manage this historic estate, has generously provided wines from deep within the domaine’s cellars for this special dinner at restaurant DANIEL. After a reception featuring Champagne Delamotte and Les Pucelles 1er Cru 2011, the dinner will focus exclusively on Domaine Leflaive’s four Grands Crus, beginning with a four-vintage vertical of Bâtard-Montrachet, followed by examples of Bienvenues-Bâtard-Montrachet and Chevalier-Montrachet. We will conclude with the impossibly rare 1999 and 1995 vintages of Montrachet. The wines will be paired with the sublime cuisine of Chef Daniel Boulud and guest Chef César Troisgros of Maison Troisgros in Roanne, France. This is a chance to taste mature white Burgundies from some of Domaine Leflaive’s most triumphant vintages. Chassagne-Montrachet continues to be one of the least understood of the Burgundy white wine villages. But it possesses powerful terroirs that are worth knowing about today more than ever, as Puligny and Meursault become harder to source. Join two of the best growers in the village - Daniel Cadot of Domaine Lamy Pillot and Alexandre Moreau of Domaine Bernard Moreau - for an exploration of the major crus of Chassagne. Critic & writer Jordan Mackay will moderate the discussion of terroir through the lens of recently released book with co-author Rajat Parr - A Sommelier’s Atlas of Taste, a field guide to the great wines of Europe. This is a walk-around tasting at Pier Sixty on the Hudson River, offering guests the opportunity to taste the small, yet highly acclaimed 2016 vintage and mingle with attending winemakers from all participating Burgundy domaines, while enjoying food prepared by some of New York’s most noteworthy restaurants. Over one hundred wines will be presented. La Paulée’s namesake Gala Dinner will feature a menu prepared by Chefs Daniel Boulud of DANIEL, David Kinch of Manresa in Los Gatos, CA, Melissa Rodriguez of Del Posto, and César Troisgros of Maison Troisgros in Roanne, France. In the tradition of La Paulée de Meursault, guests are invited to bring treasures from their cellars to share alongside those from attending winemakers, adding to the convivial and generous atmosphere in the room. We invite new attendees to La Paulée aged 40 and younger to the Off Grid Tasting, Welcome Party, Grand Tasting, and Gala Dinner. Simply purchase a Gala Dinner ticket for the usual price of $1,500 and email justine@lapaulee.com to confirm your First Press Package.